A million new green jobs • a million new safe, union jobs? There’s something sickeningly familiar about some green jobs. Colin Sinclair died working at a windfarm. Bert Reeves died in a recycling yard. Others are just plain poisonous. Hazards editor Rory O’Neill says it will take vigilance to make sure green jobs are decent, safe jobs. The potential occupational health and safety benefits of environmentally-sustainable jobs are seen as a slam dunk, a clear improvement on the dirty, heavy, hazardous polluting world of oil and coal. Turning green? Jobs like this in windfarm construction are indistinguishable from traditional jobs when it comes to hazards. But green jobs are not necessarily risk free jobs. Many green jobs are old jobs in green livery. The waste industry morphed into the recycling industry. It killed Bert Reeves (see case history) and it remains many times more deadly than industry as a whole. Manufacturing, transporting, assembling and maintaining wind turbines has and will make workers sick. It killed Colin Sinclair, 27 (see case history). OUTSIDERS Green initiatives might be good for the environment outside the workplace, but damaging for the workers inside. Workers have died from heat stress, for example, retrofitting insulation on buildings in hot weather. Some firms are requiring “green” lifestyle behaviour from their staff both inside and outside of work (see below). REINVENTED Many “green” industries are just old, nasty industries in new clothing – some, like construction and waste recycling and management, are among the most dangerous jobs you can do on land. Recycling can involve exposures to some of the most toxic (but valuable) substances around – like lead, cadmium and arsenic. GUINEA PIGS New “green” technologies, alternative substances and work methods might have proven benefits for the environment, but will not have been assessed for risks to workers – for example, nanomaterials or biotechnologies. You probably won’t even know you are using them. MANUFACTURED Green products like solar panels, insulation material and wind turbines have to be produced and assembled, and this can mean using old-fashioned toxins and damaging and dangerous work processes. RIGHT OFF Some of the most high-profile “green” and “ethical” companies, like Whole Foods and American Apparel, think they are too right-on or just plain “right” all the time to need unions. They care for the environment and their consumers OK, but think they know best when it comes to the treatment of their workers. They don't. Ditto other “clean” energy sources, that haven't had the benefit of a full lifecycle analysis of related costs and burdens - unlike, say, the chronic diseases of coal mining of the health and waste headache of nuclear. The solar photovoltaics industry – which is churning out the solar panels appearing on a roof top near you - uses “extremely toxic materials or materials with unknown health and environmental risks,” a January 2009 Silicon Valley Toxics Coalition report warned. Michael Renner, a green economy expert the US-based Worldwatch Institute, notes: “The wind and solar industries hold tremendous potential to halt humanity’s race to the climate precipice. 1. Steven Sumner and Peter M Layde. Expansion of renewable energy industries and implications for occupational health, JAMA, volume 302, number 7, pages 787-789 2009 [extract]. 2. How to create one million green jobs, October 2009. Available from the Campaign Against Climate Change, telephone 020 7833 9311. 3. 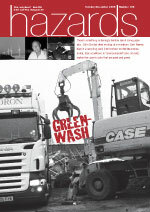 Green collared, Hazards magazine, number 107, July-September 2009. Contract worker Colin Sinclair, 25, died in September 2009 while carrying out maintenance work on a turbine at a wind farm near Thurso, Scotland. Emergency services were called to the Npower Renewables site at Causeymire (right) on the morning of 16 September 2009 after a report that a man was unconscious and stuck on a turbine. Paramedics gave him first aid after he was found unconscious on the top floor of the tower. However, he died at the scene a short time later. An RAF Sea King helicopter was called out and a winchman was lowered with a stretcher to an access door at the top of the 200ft tower, but in the end could only be used to recover the body. Mr Sinclair, one of a maintenance team employed by Siemens, which manufactured the turbines, was operating machinery at the top of the tower. He and a workmate had just climbed up the internal stairs of the tower to start work. This wasn’t the first fatal fall on a Scottish wind turbine. 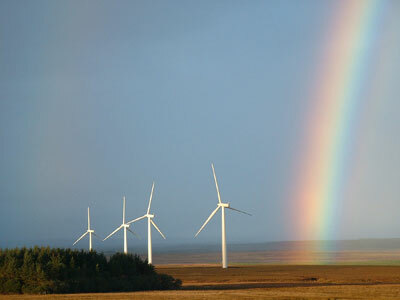 Teenager Basilio Brazao, a Brazilian working for Falck Renewables, died on 22 May 2007 when he fell 100 feet inside a wind turbine shaft which was under construction at the Earlsburn windfarm in Touch Hills, near Stirling. Campaigners say there are many other UK fatalities related to wind farm construction and use. Statistics published this year by Caithness Windfarm Information Forum record 46 deaths between 1990 and 2008, with eight deaths in 2008 alone. The death of a man who was run over by a skip lorry has led to a waste and recycling company being fined. The Health and Safety Executive (HSE) brought the prosecution against Shanley and Sons Ltd of Trowbridge, Wiltshire. The company was fined £80,000 and ordered to pay costs of £25,000 at a hearing in September at Swindon Crown Court. A guilty plea had been entered at an earlier hearing. 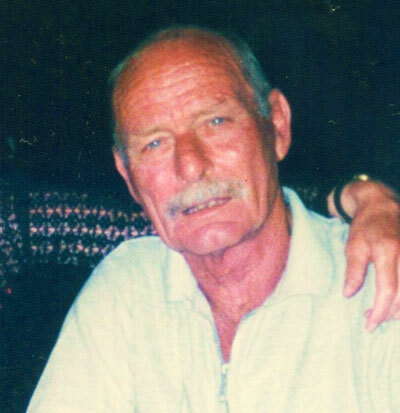 The case followed the death of Bert Reeves, 62, who was fatally injured when a skip lorry reversed over him at a transfer station on 21 June 2007. 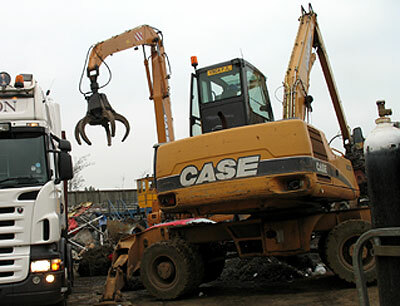 The site is used to process skip waste and Mr Reeves (right) was working on foot in the tipping area, unknown to a skip lorry driver who was reversing his vehicle to tip. Mr Reeves was in a large blindspot in the lorry’s mirrors and was struck by the rear of the lorry and run over. He died later the same day in hospital. HSE’s prosecuting team told the court the site was chaotic and congested with a lack of communication and was rife with dangerous working practices. No blame was attributed to the lorry driver in this case. A multinational firm has docked the pay of workers it considered to have too large a carbon footprint outside of work. 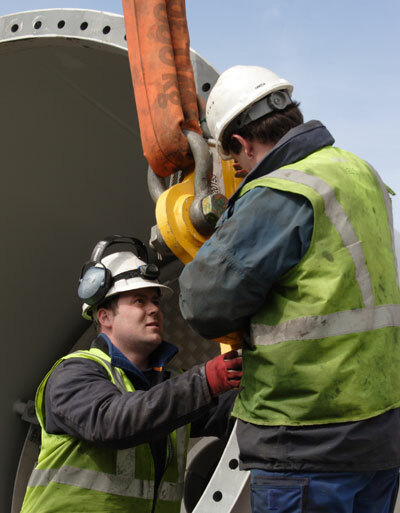 The trial by global engineering consultancy WSP involved 80 UK based employees. Threequarters were rewarded but a quarter, including managing director Stuart McLachlan, were fined. WSP now intends to expand the “successful” scheme. Unlike the energy-saving schemes adopted by thousands of companies, the rationing scheme monitors employees’ personal emissions, including home energy bills, petrol purchases and holiday flights. It also sounds laudable in theory, until you consider the practical implications across a workforce. There are many complicating factors, for example the impact on lower paid workers or those with caring responsibilities or workers who might not be able to turn down the heating or up the cycling because of health or other considerations. Nor does it address the privacy implications. If the company has a hand in everything from your holiday plans to your fuel use, many might consider that oversteps any notion of a reasonable degree of intrusion, in fact they’d have good reason to believe it was none of the employer’s damn business. This does not appear to be a concern for WSP, however. The firm is planning a dramatic expansion the scheme and is in discussions with several FTSE 100 companies. The Big (Green) Brother tactics require employees to submit quarterly reports detailing their consumption. They are also set a target, which reduces each year, for the amount of carbon they can emit. In the WSP scheme, those who exceed their ration pay a fine for every kilogram they emit over the limit. The money is deducted from their pay and the level of the fine is printed on payslips. Those who consume less than their ration are rewarded at the same rate per kilogram. The maximum that an employee can earn or be fined has been capped at £100, but is likely to rise once staff have grown accustomed to the idea. WSP, the global engineering consultancy, has been conducting the rationing scheme among 80 of its British employees for almost two years. In the first year the overall carbon footprint of participants fell by 10 per cent. The privacy implications may be more dramatic, however. The National Workrights Institute notes: “Virtually every lifestyle choice we make has some health-related consequence. Where do we draw the line as to what an employer can regulate? Should an employer be able to forbid an employee from going skiing? or riding a bicycle? or sunbathing on a Saturday afternoon? All of these activities entail a health risk. Far from being our economic and employment salvation, left to its own devices the green economy could deliver the same unhealthy mix of hire-and-fire, poison-and-pain jobs that remain a blight on the reputational landscape of the not-so-green economy. This isn’t paranoia. It’s already happening, and it is happening on a grand scale. Luckily, unions and environmental campaigners are on the case, working for good, green jobs.